For over ten years, Dewitt & Lane has developed a unique consulting company for finding lost incentive dollars. After over 2,500 audits in over 1,500 dealerships, Dewitt & Lane consultants have found nearly $81,000,000 and reviewed over 4 million deals. When you have a good idea, someone is just around the corner forever trying to copy your ideas and this leads to competition and change. 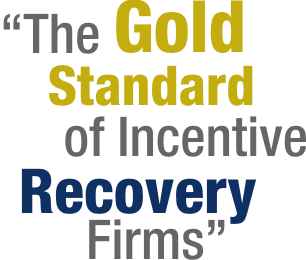 While Dewitt & Lane has proven to be the “gold standard” of incentive recovery firms, we have found the advent of this competition is a good thing. It has made us better consultants, more efficient workers, and stronger partners. We have diversified our services and become stronger for the competition. With these changes and efficiencies comes an opportunity for you. Recently, Dewitt & Lane changed its fee structure and expanded it’s available contract options to continue to not only be competitive rate-wise, but to also offer additional alternatives to the standard contract such as a tiered contract where dealers pay a smaller contingency on incentives that are returned to customer. Since our inception, Dewitt & Lane has strived to provide world class service to its dealers, but also to always to do “the right thing”. For years, the only option that dealers had in utilizing an incentive recovery firm was to pay one flat fee on every incentive recovered — even if it was returned to the customer. NOT ANY MORE! !